Exactly four months before the wedding day, Lois and I boarded a plane to Detroit, Michigan. Despite being repeatedly peppered with “Who goes to Detroit?” and “Why go to Detroit?” and “You are going to Detroit, in the dead of winter? We never wavered. Detroit beckoned. We knew this was the perfect trip, and I say this even though we were stranded in the Detroit airport for 8 hours and ended up having to overnight, un-comped, at the Westin Hotel due to a nor’easter. No matter, we went swimming in our underwear while the storm raged on. And we met lots of interesting people because endless hours at an airport leads to bonding amongst strangers. But prior thereto, Detroit packed a wallop. There is so much to see and do. 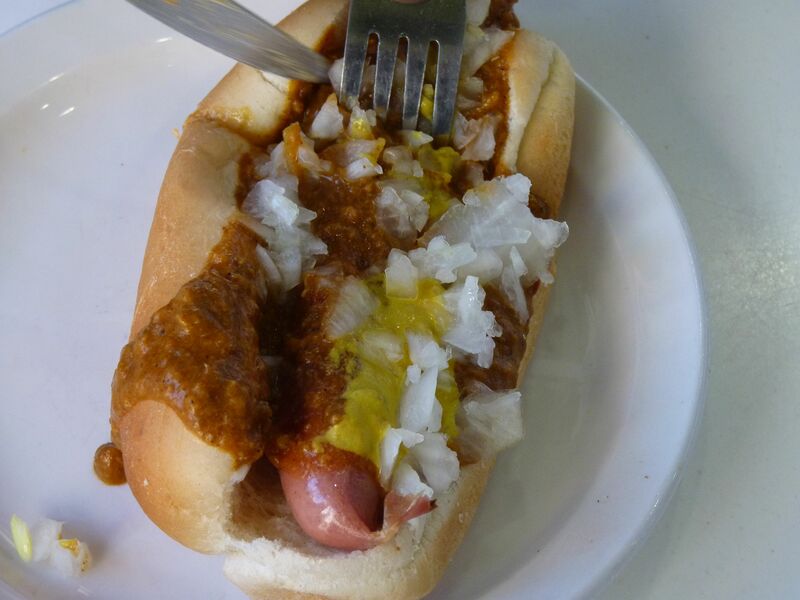 Saturday morning we had a Coney Island Chili Dog at American Coney Island. The waiter had no idea that there was an actual place called Coney Island which put hot dogs on the map. We walked down Woodward Avenue studded with grand old 19th century churches past the stadium that houses the Detroit Tigers and into the The Detroit Institute of Arts. A keen kin to the National Gallery of Art and the Metropolitan Museum of Art. 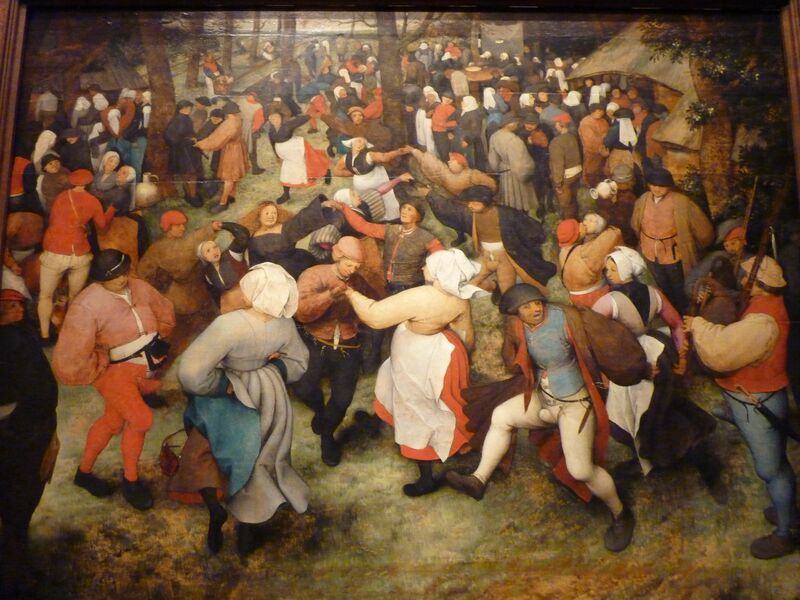 I discovered Pieter Brueghel the Elder’s “The Wedding Dance,” painted in 1566. It was a harbinger of my June nuptials and screamed a wedding is a party where lust and love are offered and accepted in the most bawdy of fashion. 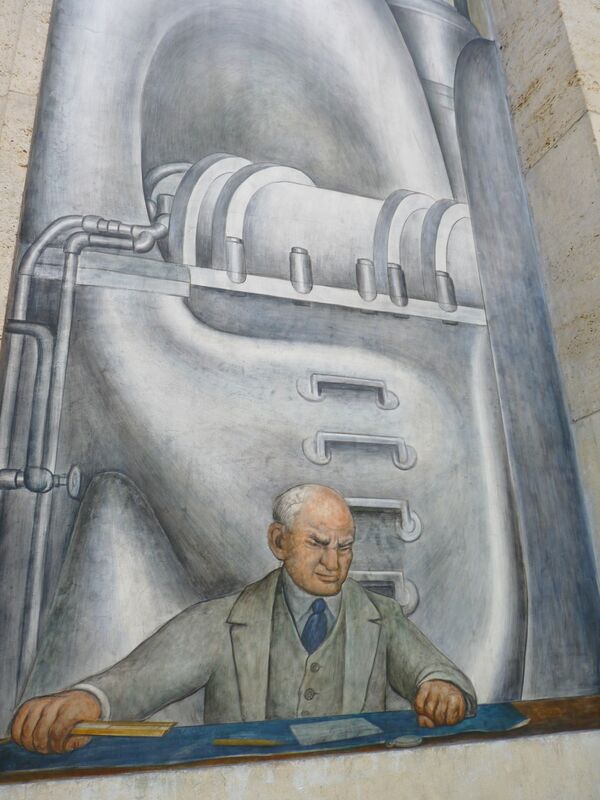 We also got a chance to see Diego Rivera’s Detroit Industry murals. They were a motivating reason to come to Detroit because the murals he had planned for Rockefeller Center were felled by public outcry. 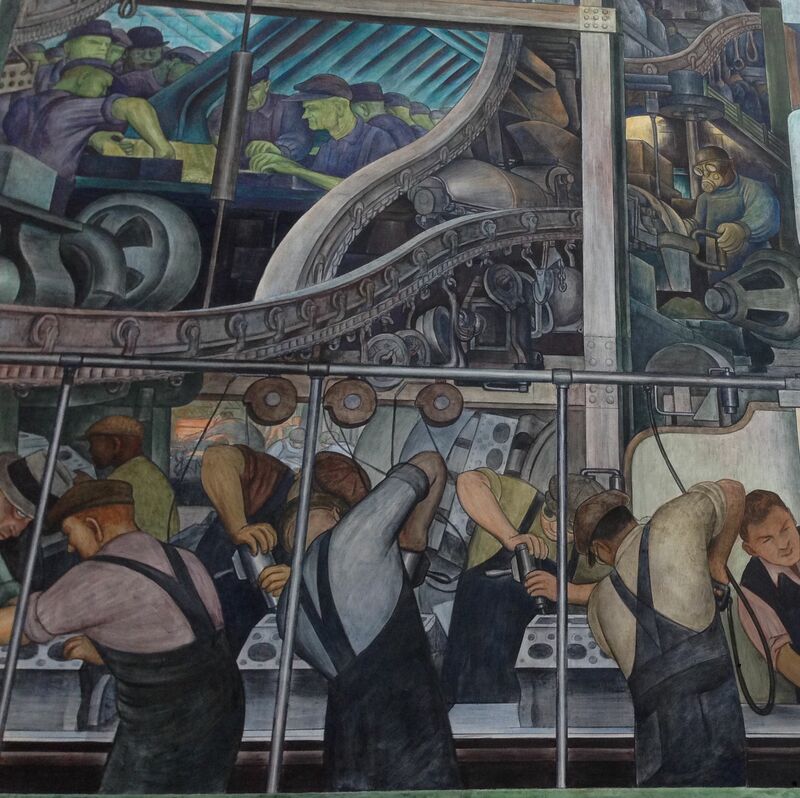 But in Detroit, we had an opportunity to see the intact in situ Detroit Industry murals, a visual panorama of the pros and cons of industry, where both management and workers are represented. After a delicious lunch and a thorough scouring of the museum shop, we taxied over to the house where Berry Gordy founded Motown. 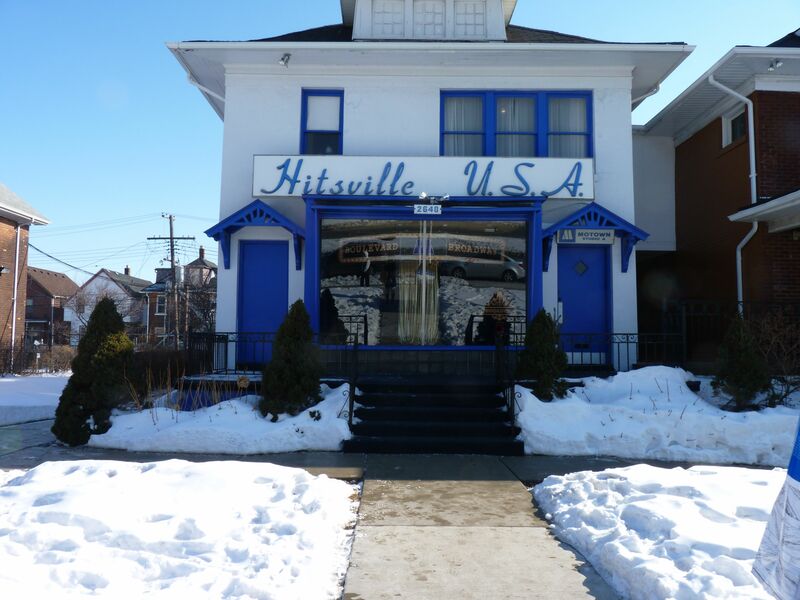 I found the Motown tour a little thin, but it was totally cool to see the recording studio where the Temptations, Supremes, Four Tops, Stevie Wonder etc. congregated and made gold records. We had cocktail hour at a 1930’s speakeasy — Cliff Bell’s — and barbecue at Slow’s. And defnitely one needs an Uber app to trek around Detroit at night. On Sunday, we were heading out at 12:00 for our 2:00 flight back to Newark, but we had heard that the Guardian Building is a must see architectural gem. It’s one of many skyscrapers that epitomize Detroit’s status as a leader of commerce and instury at the beginning of the 20th century. It’s where the automobile was born. The Guardian was built by Wirt C. Rowland and its purpose was to celebrate the world of finance. It’s open for viewing every day and it’s free. It was worth the trip to Detroit. And for those who stand in awe of the Chrysler building, which is fabulous, the Guardian Building has a bit more over the top deco-ishness. 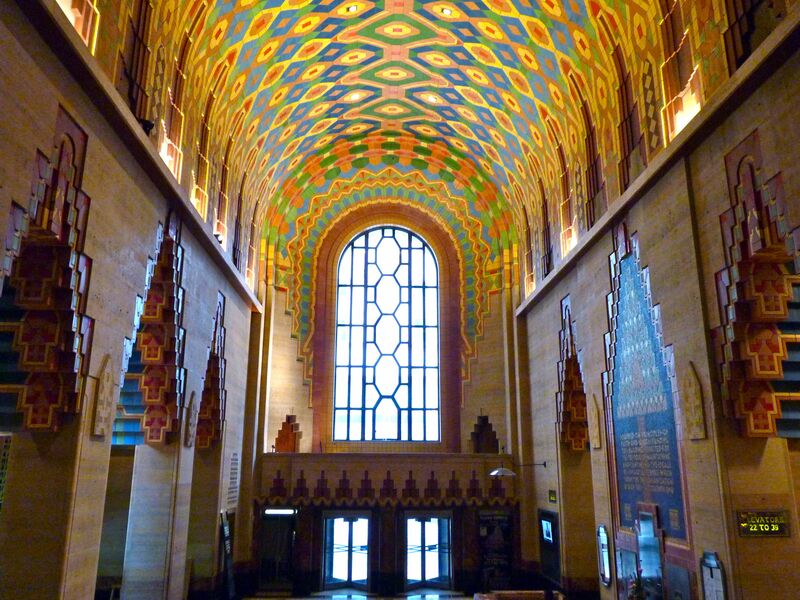 Interior of the Guardian Building. 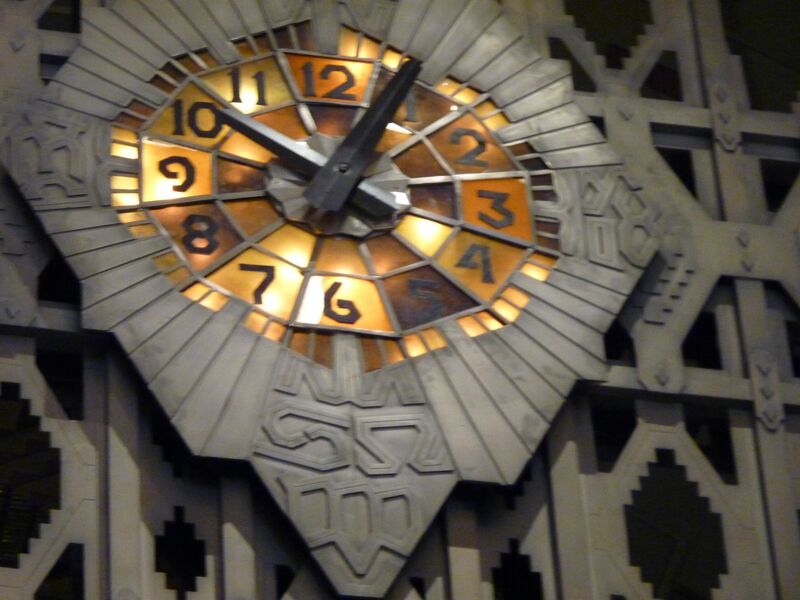 One of 5 remaining original Tiffany clocks inside the Guardian Building. We capped the morning with scrambled eggs and bloodies at The Dime Store and were on our way to the airport right on schedule where the weather intervened. Thanks ladies! Loved the tour of Detroit, especially the Guardian Building. And the Wedding Dance. 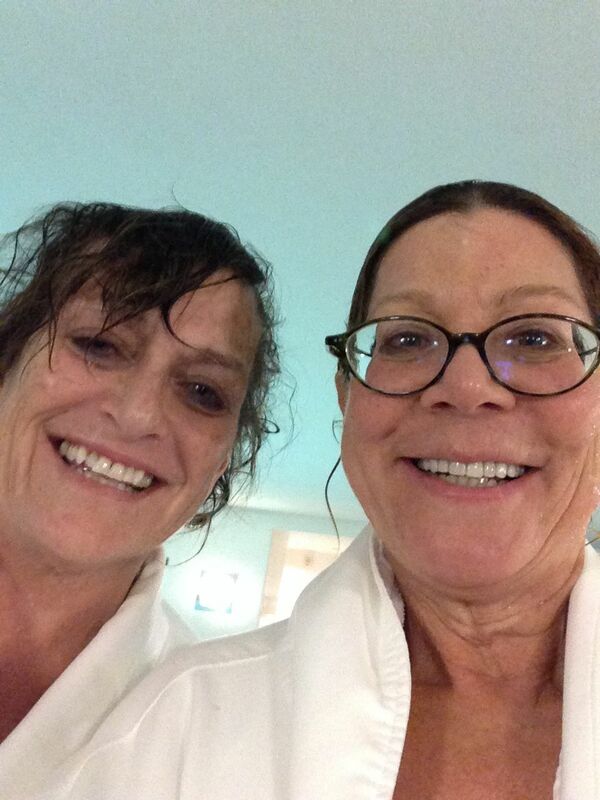 And a virtual trip with the 2 of you! Not to mention the underwear swim– so resourceful! SO glad WS-50 is back with my 2 fave writers.